Here is a picture of former Haitian President Jean-Claude, Baby Doc, Duvalier taking into custody in Port-au-Prince, just a few days after his return in the country. 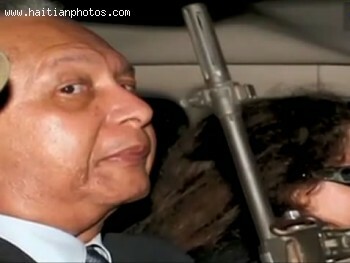 Return of Jean-Claude Duvalier in Haiti opened old wounds. Supporters and Members of the Duvalierist regime were happy to see him.